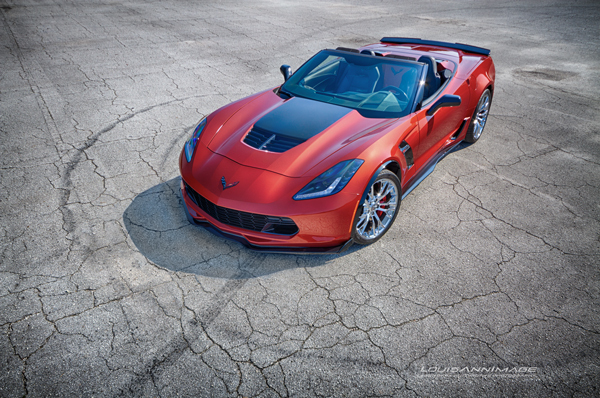 CCO's Third Quarter 2017 Corvette of the Quarter, this 2015 Z06 Roadster - owned by Nick & Pat Francoforte, was one of 4 worthy entries in the running for the 2017 Corvette of the Year honor. During November CCO members made their choice via website polling. At CCO's annual Christmas Holiday Party on December 8, Nick eagerly accepted the members choice award between dinner and dancing! This happens to be the second time Nick and Pat have had a car selected for this honor. Their 2013 60th Anniversary 427 Roadster (traded in on this year's beauty,) was selected as Corvette of the Year, 2014. Congratulations to Nick and Pat for having such good taste in popular Corvettes! In honor of the Francoforte's achievement, CCO's Home Page will feature this special Corvette throughout all of 2018 as current Corvette of the Year. Click here to review all CCO's Corvette of the Quarter honorees!